As part of our #Steamlit Steampunk promotion, I was fortunate enough to both interview and be interviewed by another steampunk author. You can view my interview here. You can read my interview with Hazel here. First off, can you share with readers a brief blurb about your novels? Well, first of all there’s “Freedom Come All Ye” which is a YA novel about William Wallace as a teenager. He’s sick of having to be in school while his father and older brother are fighting the English oppressors and one day he gets into a fight with the sheriff’s son and ends up accidentally killing him–thus having to run. He goes to stay with his uncle who’s the sheriff of English occupied Lanark and while Wallace is there trying to hide out he ends up having a brush with the general of the English garrison, Jack Moore–and he finds out that Jack Moore had killed his father. So he decides to start a resistance as he father had, and with a few friends, John Graham, Stephen Ireland, Kerlie, and eventually Marion Braidfoot, he hides out in the woods near the town, Robin Hood style, waiting for the chance to exact revenge on Jack Moore. I was inspired to write this book because there is so little known about Wallace’s childhood, and so I took the few stories we do know from reading accounts like Blind Harry’s epic (which may or may not be very true, we don’t have anything else to go on) and piecing them together with an added villain into what I thought Wallace’s teenage years might have been like. My second novel is “Ballad of the Highwayman” jumping from medieval Scotland to Stuart England. In this book, my hero is Kilroy Allen; it opens with him at age ten, going to visit his father in prison on the eve of his execution. The book it set right after the English Civil War when Charles I lost his head, and the Royalists–which Kilroy’s father was–thought that his father had betrayed them to the opposition so they were going to kill him. He had actually been set up by an unknown source and he told Kilroy to find out who it was and clear his name one day. Fifteen years later, Kilroy is a highwayman by night (The Emerald Sword) and a trader named Jeremy Gelnnon by day. He can’t use his real name because everyone knows of Allen the “Traitor” and he has to have a cover so he can keep searching for his father’s betrayer. And also, of course, so he can keep an eye on his childhood sweetheart, Sylvia Davies. This book is pretty much a classic adventure/swashbuckler novel with sword duels, wrestling, robbing (the rich of course), a little detective work, and a bit of romance. Oh yes, and humor as well. And right now, I’m working on another novel set during the Scottish Wars for Independence (Wallace’s time) Featuring Reeve, an English knight who is captured by the Scots on the field of battle. You can read an excerpt here if you’re interested. How did you come up with the ideas for your novels? “Freedom Come All Ye” was simply curiosity. I wanted to know what Wallace might have been like as a teenager and so I wrote about it! “Ballad of the Highwayman” was, for the most part, inspired by Alfred Noyes’ poem “The Highwayman”. Ever since I read that for the first time, I cound never get the visionary out of my head, and I knew that someday I would have to write a highwayman novel. Besides that, it was a product of reading “Three Musketeers” and Louis L’Amour’s “The Lonesome Gods” in succession. And because I think there need to be more swashbucklers written by modern day authors. Everyone loves the genre (Come on, we know you do) but it’s kind of gotten lost. Why did you choose to focus your novels on William Wallace? Wallace is one of my favorite historical figures. He’s one of those people who stays in your head and you have to think: This can’t possibly be a true story! I didn’t know a thing about Scotland before I was fourteen and I read Jane Yolen’s novel “Prince Across the Water” about the Jacobite Rebellion. I loved it so much that I decided to do research on the time period since I had never read about it in school (and I was already a total history buff at that time). 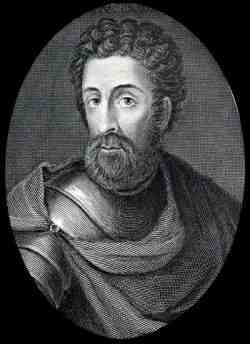 Reading about Bonnie Prince Charlie, I decided to look at more Scottish history and found the story of William Wallace, and since that day, after I read about all the things he did, and how he met his end, I’ve not been able to get him out of my head. So then I started reading everyone else’s novels and eventually decided I wanted to write my own. Wallace is one of those people who everyone can relate to because he fought for freedom and I hope that by writing more novels he will be carried on through the generations to inspire more young people. How do you write? Do you set a schedule or is it a more free-form thing? Truthfully, every book I write comes differently and my “favorite time to write” changes all the time. Right now, I write from about 11 pm to 2 am or later if I’m really working on something. I do not write during the day much at all anymore because it’s too noisy, and I think better at night. During the day, I go over previously written chapters, do research, fix things that need fixing and all that. Normally, I will save the chapters I write each week and edit them over the weekend since I usually don’t write saturday and sunday. But that’s the book I’m working on now, next one might change. What do you do in your non-writing time? What are some of your favorite books and authors? Who inspires you? And lastly, what is the best advice you would give to a new author or writer? Don’t ever stop writing, no matter what anyone says, there’s no way you’ll get better unless you keep it up. Writing is seasoned with time, it has to age, and not everyone’s first story is going to be a New York Times’ Best Seller. The best thing to do is listen to criticism, and think about it even if you don’t follow all of it (because it is still your book, not theirs). And most of all, make sure that YOU are happy with it. Half the battle is making sure you yourself can approve of your story. Thanks so much for having me, Daniel! Thanks for taking the time to answer the questions! Here are the links to Hazel West’s Novels. As a sidebar, I really enjoyed this experience of having a guest post/author interview. If you’re looking to be interviewed/get an interview from me about Brass Legionnaire or the Self-Publishing process, drop me a message through the contact page above.